This simple yet deep sentence forms part of the core beliefs of the Respekt group, a collection of winemakers, all Austrian (for now), who wished to depart from the more conventional ways of winemaking and shift focus back to Mother Nature. I cant resist asking people as to what does it mean to be Biodynamic, and how much ‘more’ is it over Organic? My idea is not to taunt winemakers or to see if they really understand their cosmic cycles but to merely and actually understand if all the hype is actually worth the talk time we are all currently generously allowing it? 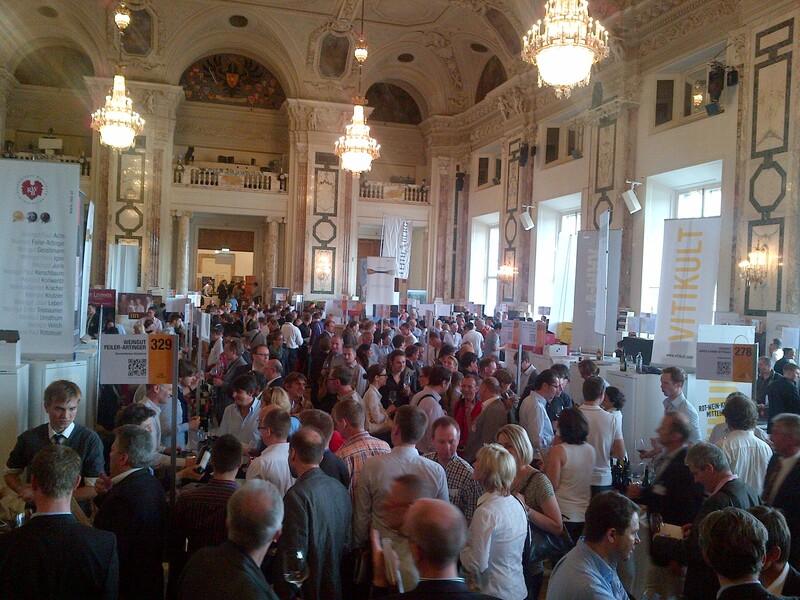 But back to our lovely tasting, there were 15 top producers, and yet they were top even before BD became a part of their philosophy and they are further reinstated as a “The Best of…” compilation of Austrian wines. 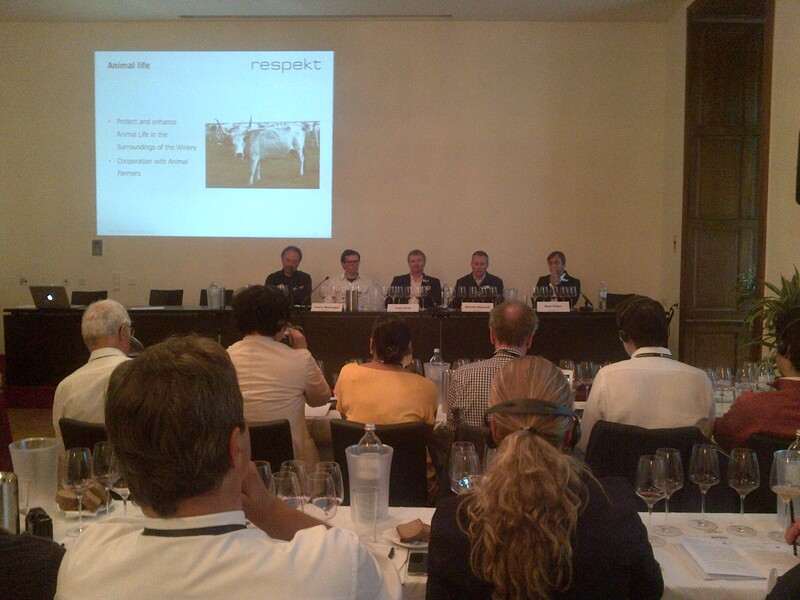 they shared slides with information as wines were poured out for tasting. I am not a big fan of tasting notes so please disregard my ramblings that follow but do make a note of the houses mentioned. They are definitely something to try out. 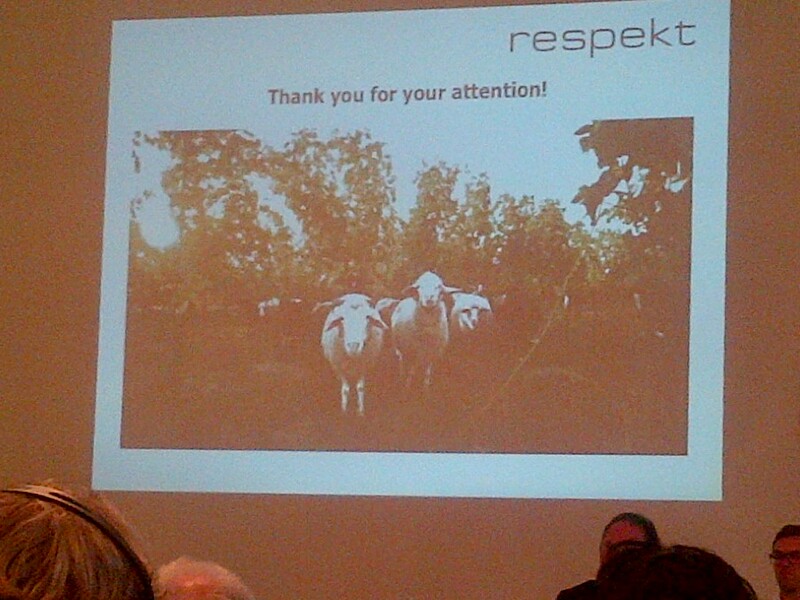 But first, a few salient points about Respekt. Think of them as their core philosophy. 1. “Quality: not just of wine and soil, but also of employees, families, partners, customers.” Happiness all around is a good sentiment, as I gathered. Happy people make happy wines, they might even sing to the vines. of expression.” Another slide said, “Soil should provide all around the year; something man has intervened in and made the soil forget.” While this may exist as common sense in any form of winemaking, we often don’t realize just how dependent we make our vineyards by spraying and treating problems chemically. The whole idea of biodynamic isn’t a conversion overnight but to nurture the vineyard back to self-sustainable health. 3. 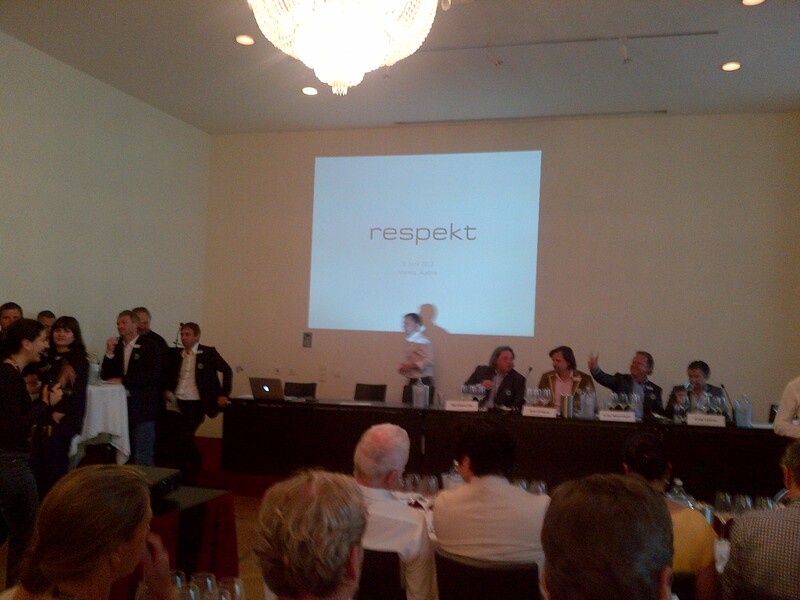 “Sensory: Unique and vibrant wines. Complexity through moderate alcohol. Balanced with longevity.” I thought moderate alcohol was a great point; what’s the point of opening a bottle that knocks you out flat in half a glass! Balance maybe possible even at 17% alcohol but the average consumer is looking for something less heady. 4. “Quality: Respekt-symbol. 100% bio.” There exist, of course, other bodies to give you a BD certification but as Fred Loimer said, “If BD is all about bio-diversity then think of us also as diversifying to bring a healthy variety to the system.” The group has worked closely since a few years and it is this closeness that led to the formation of the Respekt. ..at this point, i'd been bugging him for 20 minutes straight! trained vines and the basic principle is to NOT cut any wood of 3 years of older as the vine isn’t able to entirely heal from such wounds and ends up drying up within. That said, it works well and still helps retain the compactness of a vine. 1. 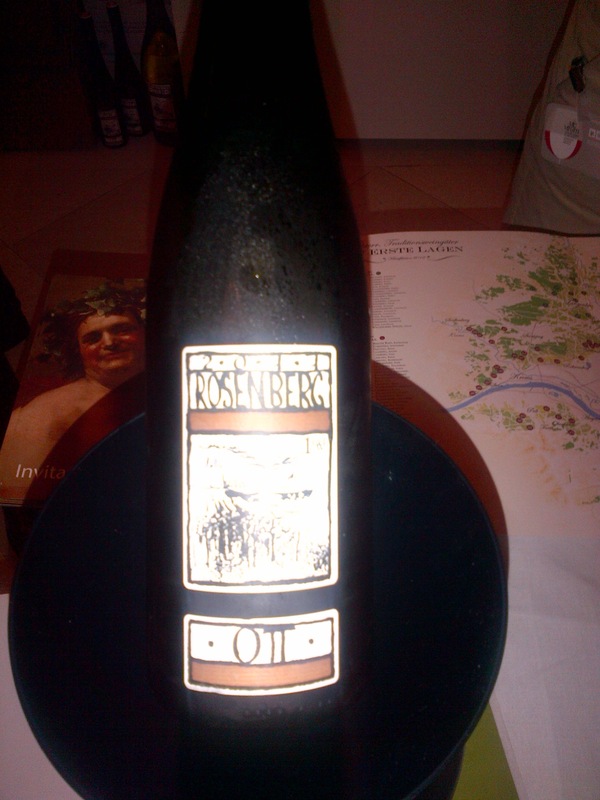 Bernhard Ott (ott.at) : Engabrunner Stein Erste Lage Gruner Veltliner ’10: lovely cleanliness, purity. Chalk n limestone jump out of the glass but there is lovely balancing grip to go alongwith as well on the midpalate. 2. 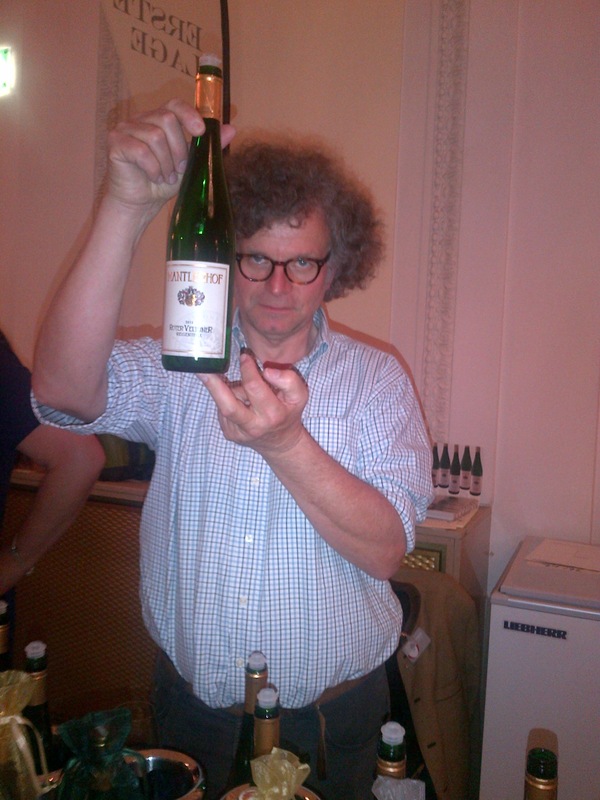 Weingut Karl Fritsch (fritsch.cc): schlossberg ’10 GruVee: plays with a hint of RS, 13.5% roughly, big wine. Rich and ripe. 3. Weingut Weininger (weininger.at): Gemischter Satz Nussberg ’10: elegance of aromas, lightness of texture, richness aplenty but never clawy. 4. 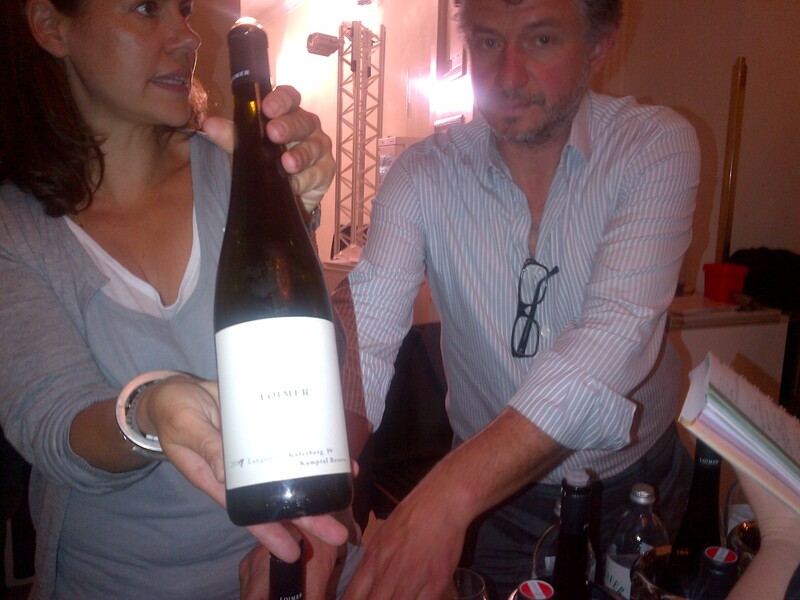 Weingut Fred Loimer (loimer.at): Seeberg Erste Lage Kamptal Reserve Riesling ’09: aromatic, crisp, deep, attractive. 5. Weingut Hirsch (Weingut-hirsch.at): zobinger Gaisberg Riesling ’09: soft, ripe fruit resplendent, 5-8g/l, crackling. 7. Weingut Judith Beck (Weingut-Beck.at): St. Laurent Schafleiten ’09: expressive, gentle, distinctive. 8. Weingut Pittnauer (pittnauer.at): st. Laurent Altenberg ’09: good mature fruit, balanced. 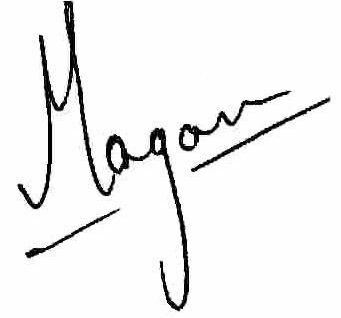 Simple yet with facets. 9. Weingut Claus Preisinger (clauspreisinger.at): Pinot Noir ’09: slight haze, almost holistic, fruit, depth, flavour, grip, low alcohol. 11. Weingut Anita & Hans Nittnaus (nittnaus.at): Pannobile Rot ’09: Nice approachable red, straightforward, correct without being simple. 12. Weingut Pinceszet by Weingut Weininger (weninger.com): Kirchholz Blaufrankisch ’09: A wine with a marked attack, some minerality, depth and flavour aplenty. 13. Weingut Paul Achs (Paul-achs.at): Blaufrankisch Ungerberg ’09: gently oaked and always fruit-centric, soft tannins and lingering fruity finish. 15. Weingut Feiler-Artinger (feiler-artinger.at): Gelber Muskateller Ausbruch. Tank-sample ’11: pink-hued ever so slightly, powerful nose, floral and fruity, more floral, big attack, broad and yet held together with acidity, robe remains unfiltered, the wine has a very fresh fruit tannin grip to it, appley and then tropical. So, BD, whether you think of it as a mental flashmob for bored winemakers, the outcome of a late night binge of a new breed of marketing graduates, or a religion that needs reverence, respect, and devotion, is here to stay, and is making a difference. Always remember, as Goethe said, it’s all give and take; nature is sure enough not catering any free meals. So gear up, strap up, and enjoy the ride! ..at this point, i’d been bugging him for 20 minutes straight!